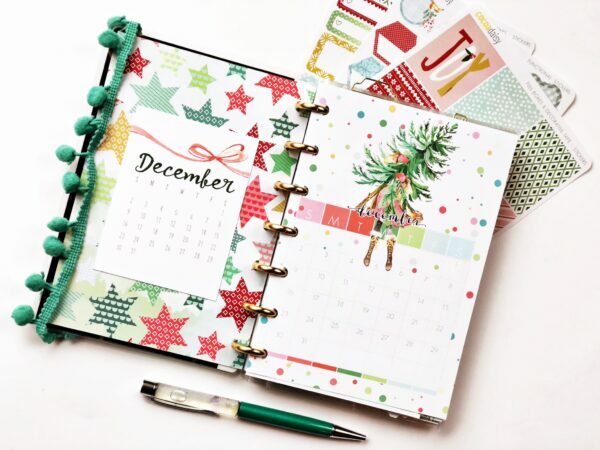 Happy almost December planner friends! 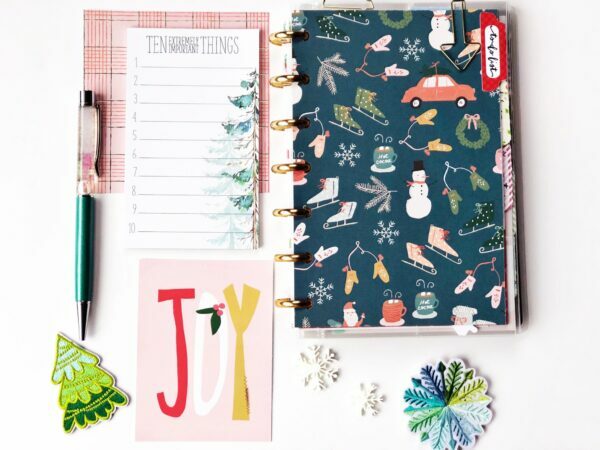 Casie here with some visual inspiration to set up your winter themed holiday planner! 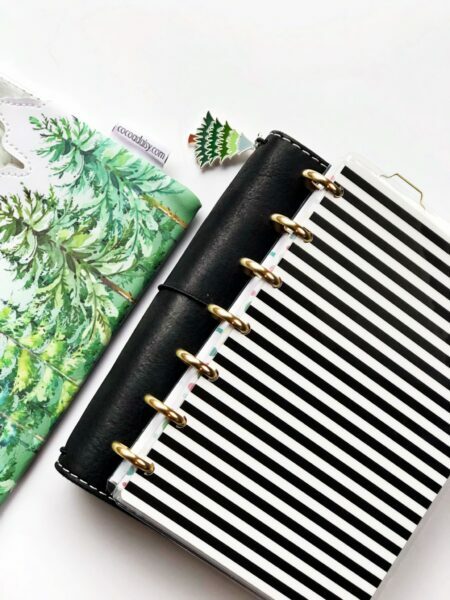 First things first, the clear tree pouch is my favorite accessory from the kits this year and will be traveling alongside my planner all month long! I have really been missing my travelers notebook cover lately. I love hanging charms from it and a the extra dash of decoration it stores so I am utilizing it to hold my mini happy planner this month. And Simon must be front and center because he is adorable in his festive Santa hat. My favorite pattern paper from this months kit is the first page you see when you open the cover. 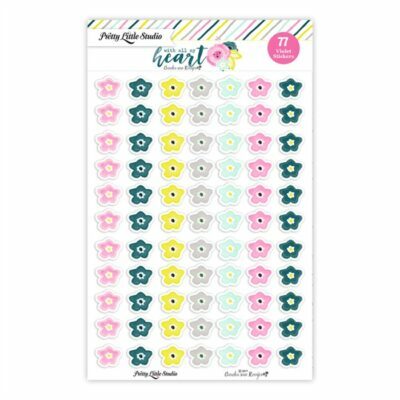 The bright colorful stars along side those adorable planner girls balancing gifts and Christmas trees are a joy to see first! This month’s memory planning will be created on a B6 dori pages. I took apart the dori and punched the papers to be inside the discs. 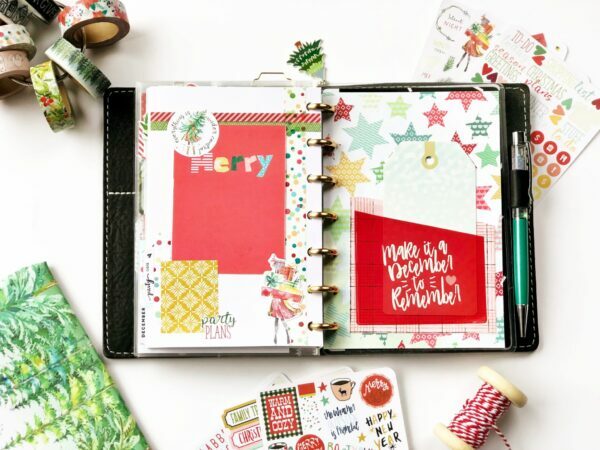 The B6 size fits perfectly within the mini happy planner cover and I love that each week is a new pattern with festive colors. 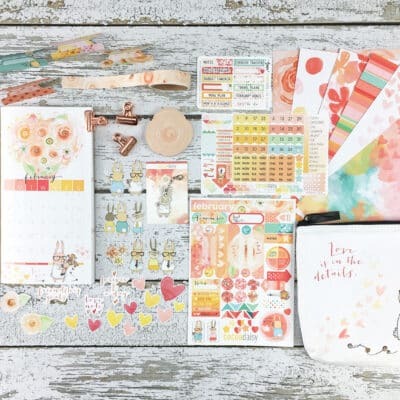 Dividers, dividers, dividers – this is my favorite way to use pattern paper and keep collections inside my planner. Christmas plans and festivities are big in our house and I wanted to make sure to list all my ideas and then document as I go throughout the month. 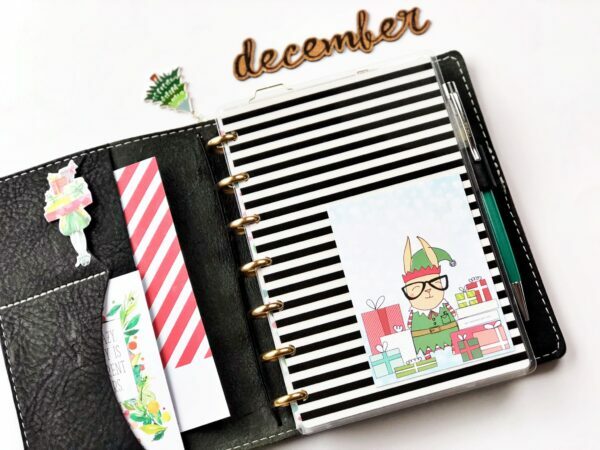 My dividers include the following topics: To-Do, Holiday Recipes, Coffee notes, Party Ideas, Vacation wishes, Christmas cards, gift list and Remember. 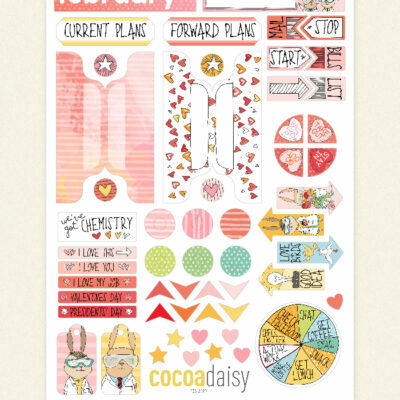 I plan to create a few single page journaling layouts during December. Creating the foundation for stories I want to document before the rush of the holiday makes it easier to document in real time. And of course, I need to document a holiday coffee story. 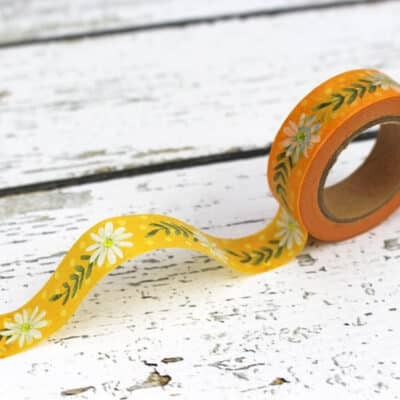 And some papers are just decorative because it is fun to make and look at! 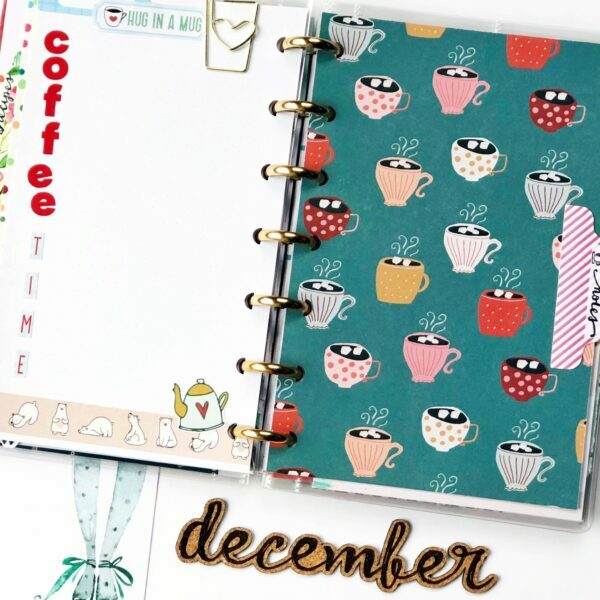 Have a WONDERFUL December planner friends! 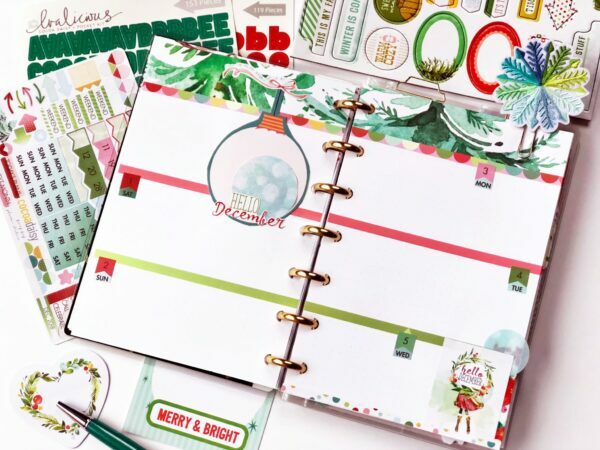 And be sure to join me on Instagram at CultivatingCasie where I will share more of my holiday planner!